Mini Swagger, Drop Point, Fine Edge. 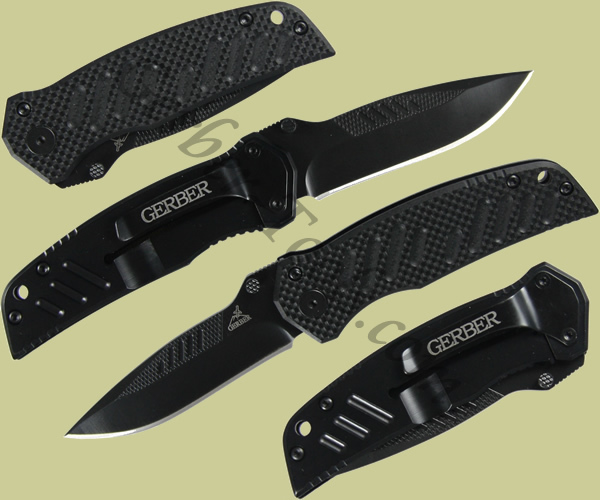 The Gerber Mini Swagger knife model 31-000593 30-000256 has a lot of character. The fine edge drop point blade has machine styling that is continued on the G10/stainless steel handle. It opens with dual thumb studs and locks into place with a frame lock. You can carry it with the included pocket clip or make use of the lanyard hole.